Vilsack says most establishments do their own testing, and some release their products prior to getting the test results. He expects the new standard will help protect the food supply, significantly reduce the number of recalls and illness and ensure Americans get the safest food possible. In fact, Vilsack says if this new policy had been in effect earlier, between 2007 and 2009, 44 Class 1 recalls–the most serious kind–could have been avoided. Billions of meat, poultry and processed egg products are inspected by FSIS each year. Dr. Elisabeth Hagen, USDA undersecretary for Food Safety, oversees the agency's policies and programs. "We believe this will result in fewer products with dangerous pathogens reaching store shelves and dinner tables," Hagen said. "In addition, by testing and holding at U.S. points-of-entry, FSIS will also strengthen safety efforts focused on imported food – offering an additional safeguard to American consumers." According to the Centers for Disease Control and Prevention, each year one in six Americans (48 milion people) get sick from foodborne illness, 128,000 are hospitalized and 3,000 die. Public comment on the policy can be submitted on the Federal Register for the next 90 days. The USDA will respond to the comments, and make any necessary changes to the policy before it goes into effect. Next entry »Allergic to aspirin: Are there alternatives? It's about time the govt did this! Now we also need them to label cloned animal products! cloned animal products? i hope you arent serious..
We also need labeling of genetically modified foods...don't hold your breath. Not sure why you care about the cloning. Find me the perfect cow, and make some coppies. I love a good steak. Doesn't this just mean everyone's meat will be even less fresh when we buy it? Also, why would you care about "cloned" animal products? Unnatural and unhealthy are two different things and the way most meat is raised already makes it somewhat unhealthy. You think the USDA (who looks out for consumer safety) would have, a long time ago, implemented this procedure for our safety. Not have the meat industry recommend it to the USDA! So who does the USDA work for? You've got it all wrong! We have wanted this authority as long as any of us can remember. It was always up to Congress to grant it. We can only do as much as we are empowered to do, irrespective of the impact of inaction on public health. With recent press, Congress finally relented and gave us the power we needed to protect you. FSIS, as a Quality Manager at a USDA inspected food plant, I agree with you that USDA inspectors do everything they can to ensure a safe food supply for the american public. The problem is the few people at the top who sell out to corporate lobbyists and thus prevent you from having the tools to do your job effectively because those tools might cut into the quarterly earnings of the big food companies. This is at least a step in the right direction. Heh, what's up with this BIG GOVERNMENT intruding into my choices to eat E.coli contaminated meat and vegetables. What a waste of tax payer dollars ! Defund USDA now ! If people really knew how little the USDA tested versus the number of tests the businesses conduct the govt would be embarrassed. For the govt to test product like people think they should would cost millions of dollars. Not to mention the number of samples that are discarded due to mishandling, mispacking, or mistakes on paperwork. The old conservative argument proclaims that government should not be policing business practices since businesses naturally do what is best for all because it is in the businesses best interest. If that was true, you might ask, how are passing on a little E.Coli, sending a little mercury downriver, letting toxic mining and processing chemicals contaminate groundwater best for us all? Silly liberal commies... some of us have to be sacrificed because these cost saving practices make companies more profitable so they can hire more workers. Sheesh! Can't you see they are looking out for us not them? P.S. 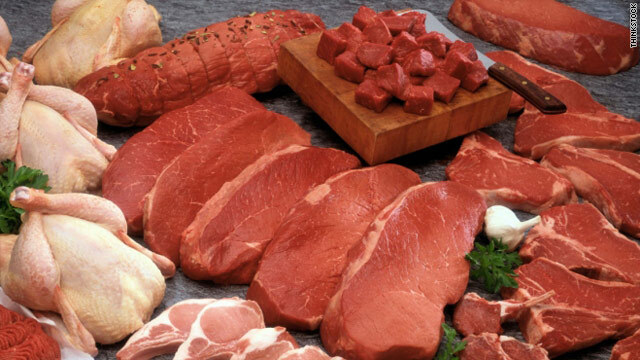 So where will e.coli contaminated meat get used now? Hot dogs, pet food or prison food? Posts demonstrate the "herd mentality" of people and how little they actually know about the food they eat. Majority of plants already hold product until tests come back. I'm surmising the Jennie-O Turkey Burgers got out due to company knowing product was Individually Quick Frozen(IQF) and shouldn't be an e-coli problem; however, probably was packed by person with dirty gloves. Media loves to pursue meat food borne illnesses, but you hear little about fruits and vegatbles which have almost 30% higher reports of e-coli reported incidents. Just think of your yummy lettuce and strawberries being irrigated in Mexico with feces contaminated water and you get the picture. So when and where do we start holding produce????? The FDA is not there the protect the consumer.......this is a common misconception. they are here to protect the corporations and lobbies that provide our food/drug supply. They're only concern is to put a label or warning on the product to make sure the consumer has a chance to read it and educate themselves..... if you think this government agency will protect your health think again.....but the real message here is read, think for yourself and don't expect the government to "take care" of you.....personal responsibility a concept that is foreign to most Americans. How can you say that irradiation isn't harmful? It changes the state of the product being irradiated to something that nobody has any clue of its nutritional value anymore. It also releases oxygen free radicals which are known to cause cancer. I have an AMAZING Health Story and am very lucky to be alive today. In January 2004 I had a Major and Two Minor Strokes. I was at St. Joseph's Hospital here in Phoenix, Arizona for 2.5 months, but do not remember a day there in fact. My Mind came all the way back in fact which is just incredible! INTERESTING...I'VE BEEN 'HOLDING' MY MEAT IN FREEZER FOR SEVERAL WEEKS, WAITING TO SEE IF THERE IS A RECALL. I ALSO GRIND MY OWM CHOPPED MEAT,PORK AND CHICKEN. SO FAR I'VE ONLY CAUGHT 2 RECALLS. I FEEL VERY LUCKY. This is good news, especially for those who are trying to put American Farmers out of business. There will be plenty of time to get the test results back while the meat is being shipped from overseas. Thanks again for sticking it to the small guy – Corporation or Bust!!! About time they do something cause this government is USELESS!! If you hold meat off the market till test results come back, then the meat won't be as fresh, and pathogens or whatnot, will have time to gestate, making the testing worthless in the meantime. What is this? Are they trying to make us all vegans or something? Go vegan. Problem solved. It's easy and it's the morally right thing to do. I agree it's a great goal to go vegan. But people need support. It's not the easiest thing in the world. I love the website for The Kind Diet. FSIS and Quality, glad to have your input. I'm a sanitarian at a county health dept and know how underfunded the USDA/FSIS and FDA are. Holds are one tool, but I wish the public would learn to handle their food safely! That alone would make a huge difference in the number of FBI outbreaks no matter what the raw meat/poultry product.